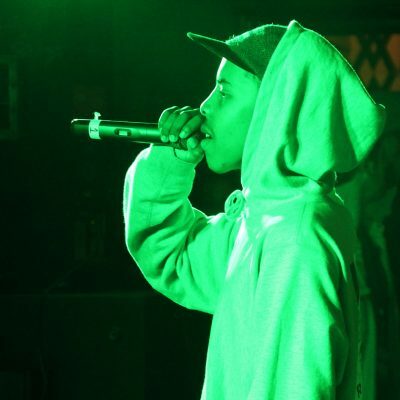 Pitchfork announced on Monday that Earl Sweatshirt has canceled his set at their festival. The elusive rapper also called off his European tour in June due to his struggles with depression and anxiety. This change comes just days before Pitchfork Fest begins on Friday, July 20th. As a result, the set times of Saba and Syd have been shifted and rapper Tierra Whack will now be taking Sweatshirt’s place at 4:15 on Friday. You can find the updated schedule here. Whack released her first album in May of this year, Whack World. With 15 songs each lasting a minute, to say the project is a wild ride would be an understatement. One would think that with such short tracks the album would play more like one cohesive song – but surprisingly, each is different enough to stand alone. From the silly “Cable Guy” to the more serious shift found in the following song “4 Wings,” Whack is able to show off her versatility in just two minutes. In fact, placing contrasting songs next to each other is a pattern throughout the album. However, that’s not to say that the songs don’t flow together well; Whack provides several impressive transitions, most notably in between “Silly Sam” and “‘Fruit Salad.” It’s as if she is trying on many different hats, never quite deciding on which one to choose. Almost all of the songs are intriguing, making the minute they last somewhat of a tease – but perhaps that was Whack’s very intention. To make the project even more interesting, she also released an audiovisual version on YouTube (view it below). Although festival-goers are sure to be disappointed about Sweatshirt’s cancellation, Whack stepping up to the plate is definitely something to be excited about.